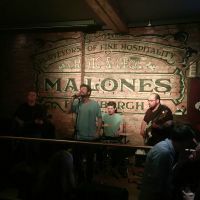 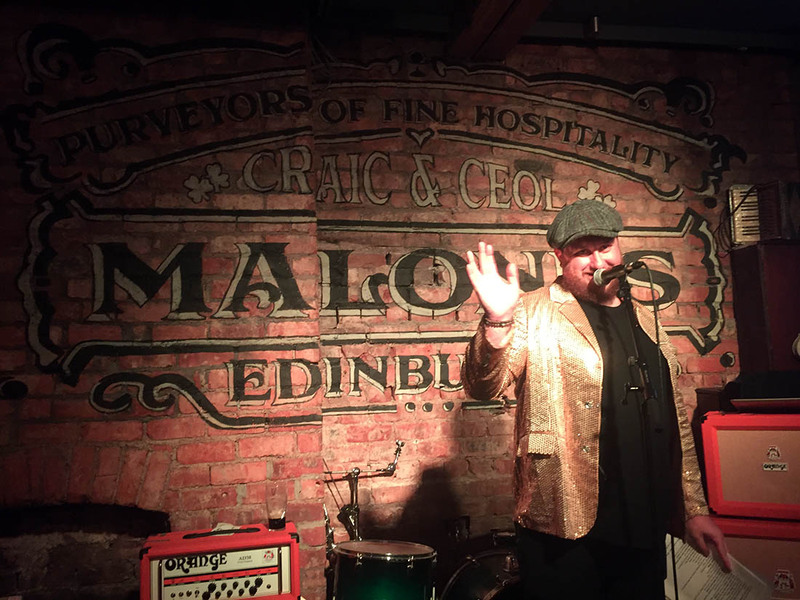 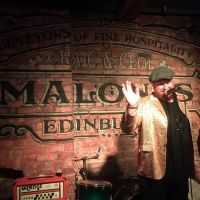 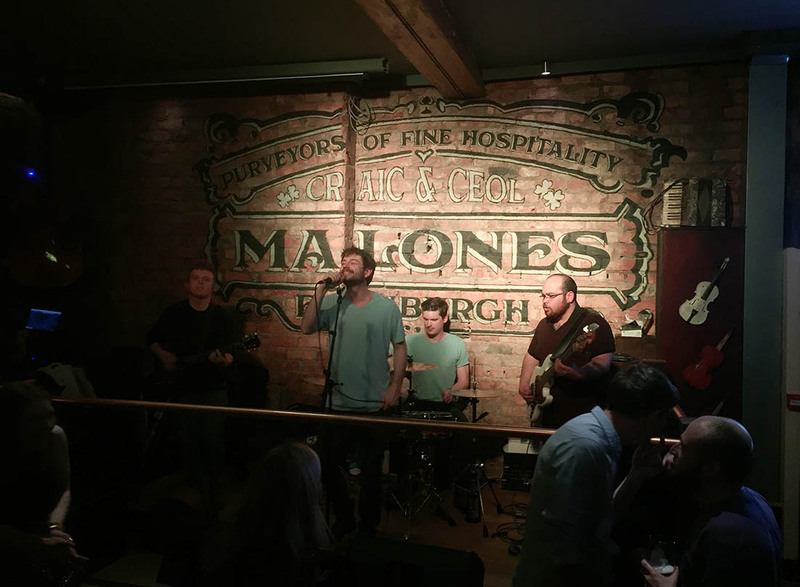 Irish hospitality company Malones bought Edinburgh institution Diane’s Pool Hall near Haymarket station in late 2017. 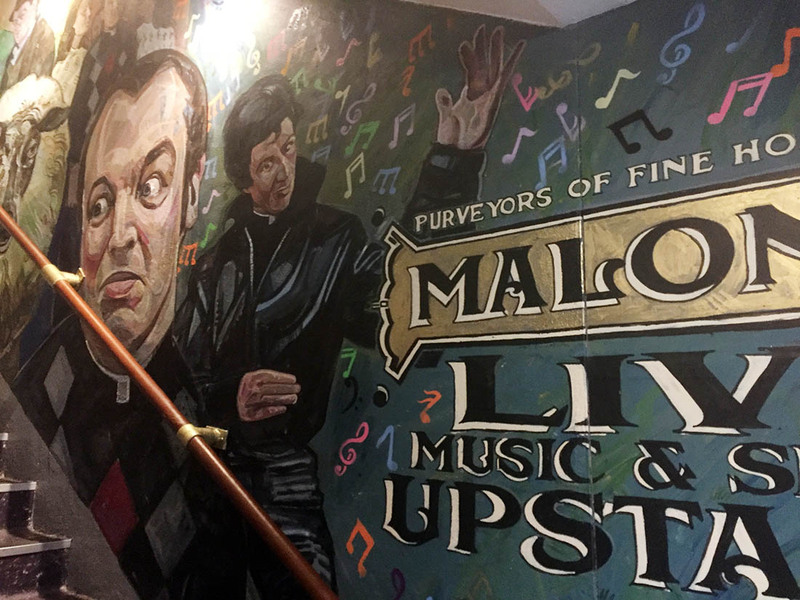 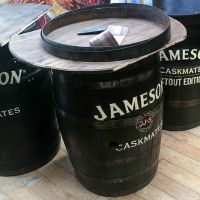 They needed me to contribute to a number of zones in the bar, in particular the brick wall behind the new main stage and the staircase leading up from the bottom bar. 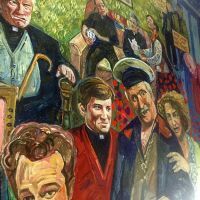 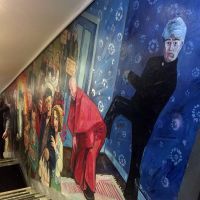 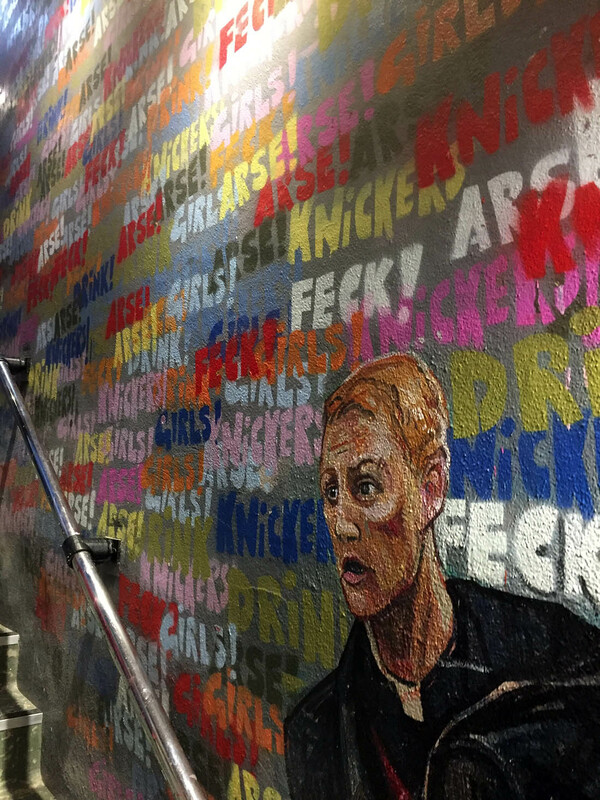 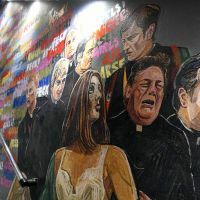 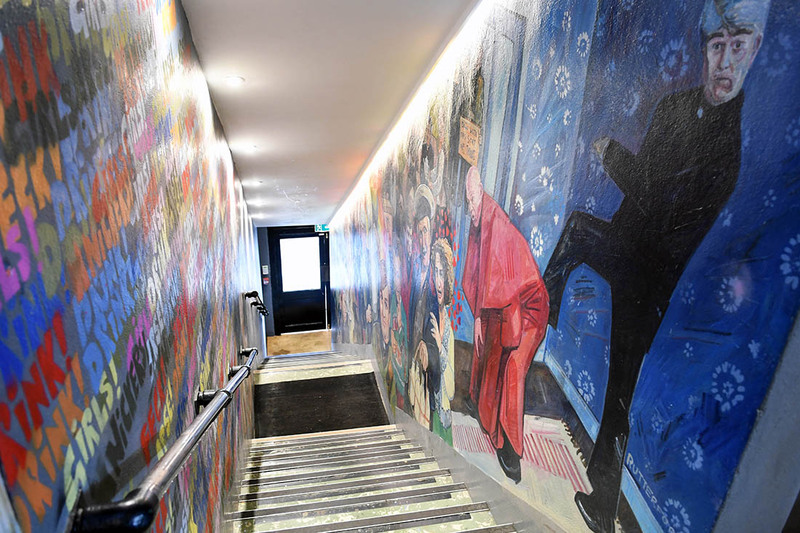 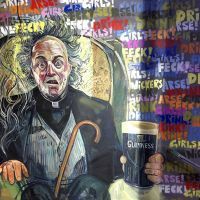 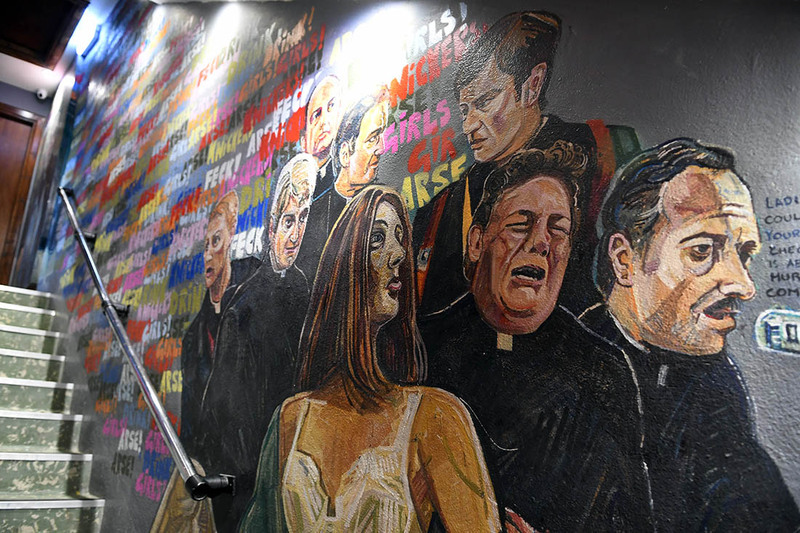 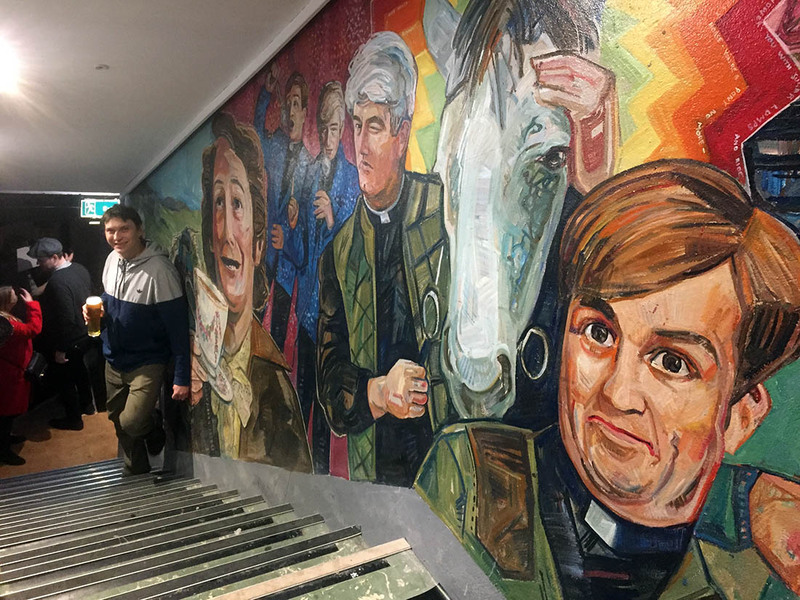 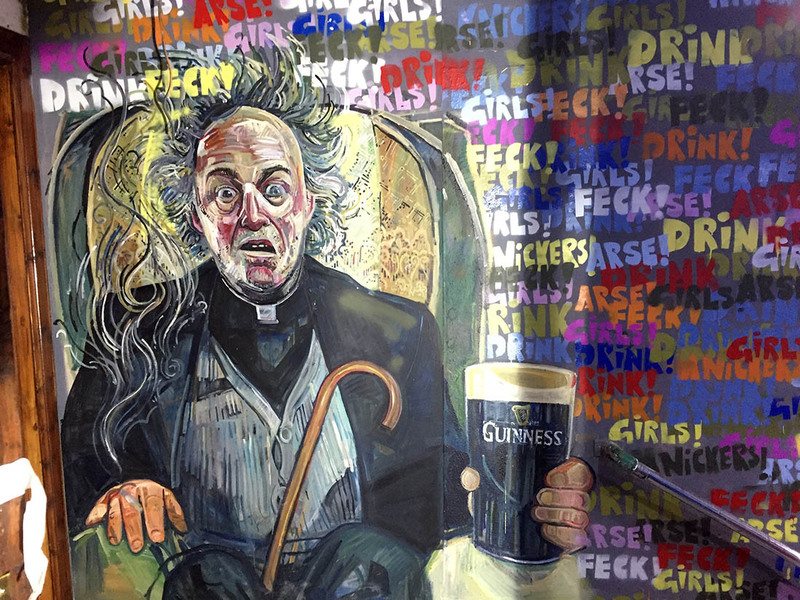 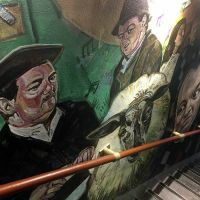 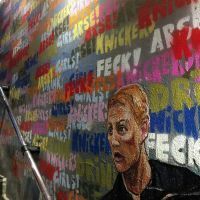 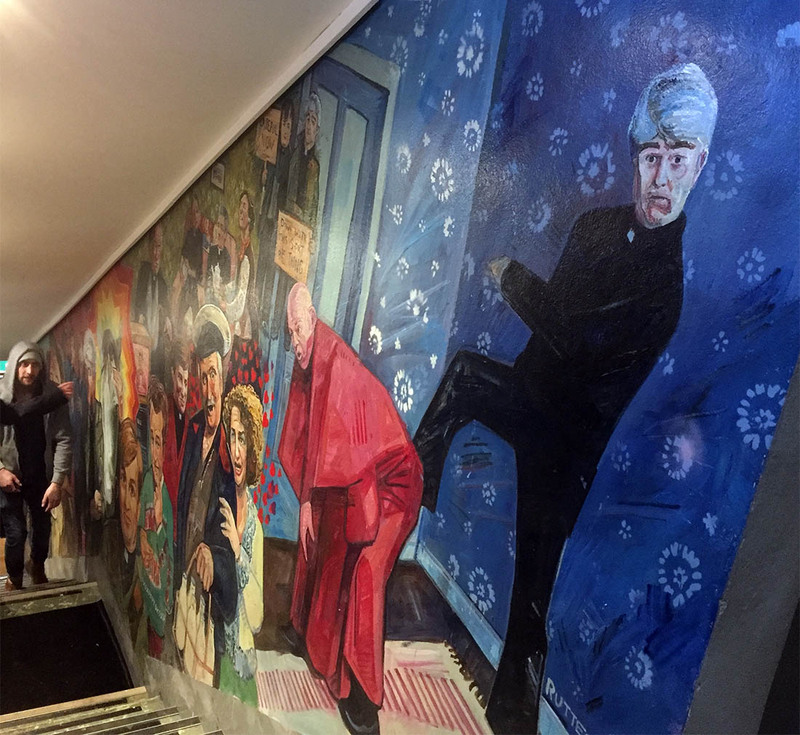 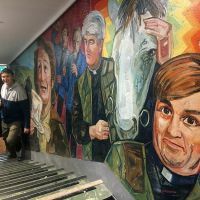 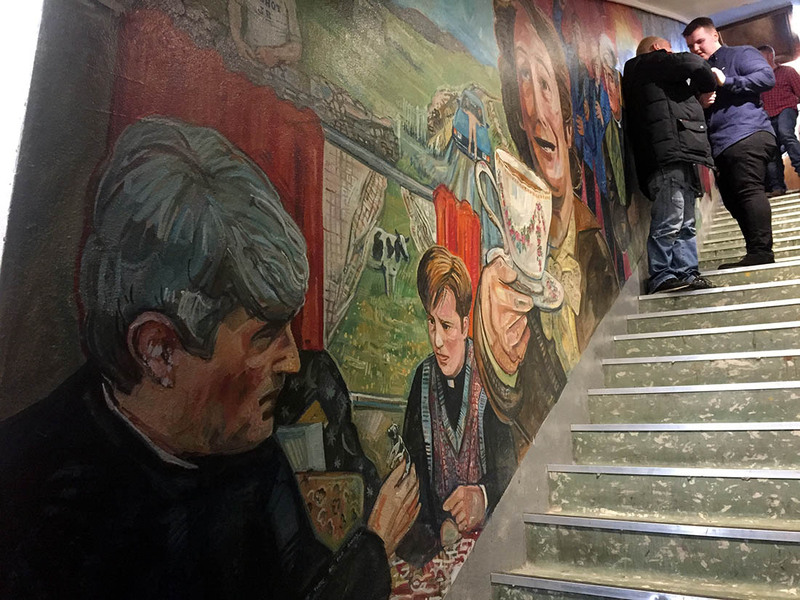 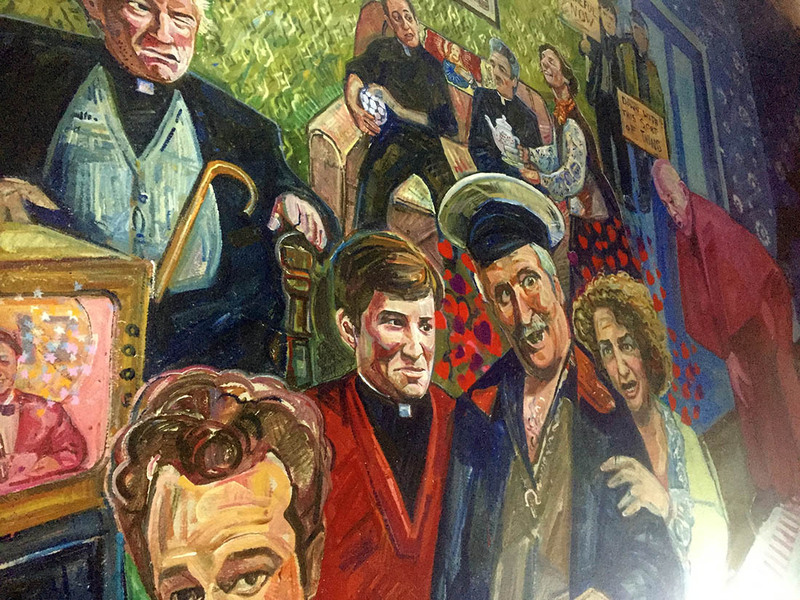 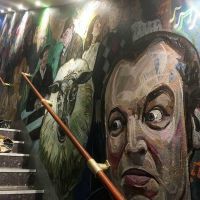 We decided to produce a large scale ‘Father Ted’ mural; a television series that I love and that is universally popular throughout the UK and Ireland. 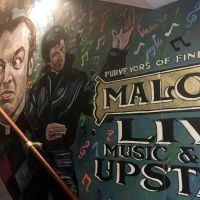 I produced the new stage artwork in one long 15 hour shift; the final result has a warm, inviting and authentic feeling - it feels like it has always been there. 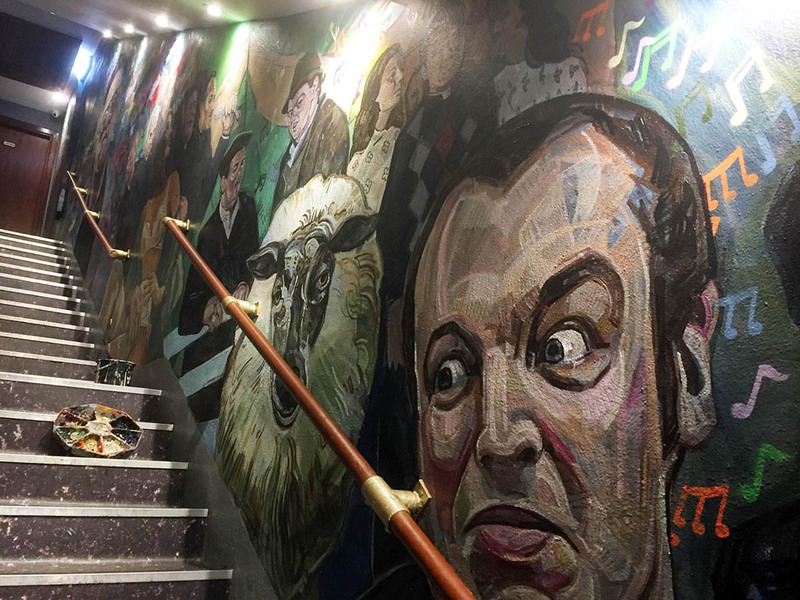 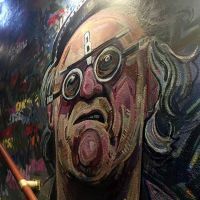 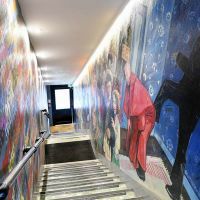 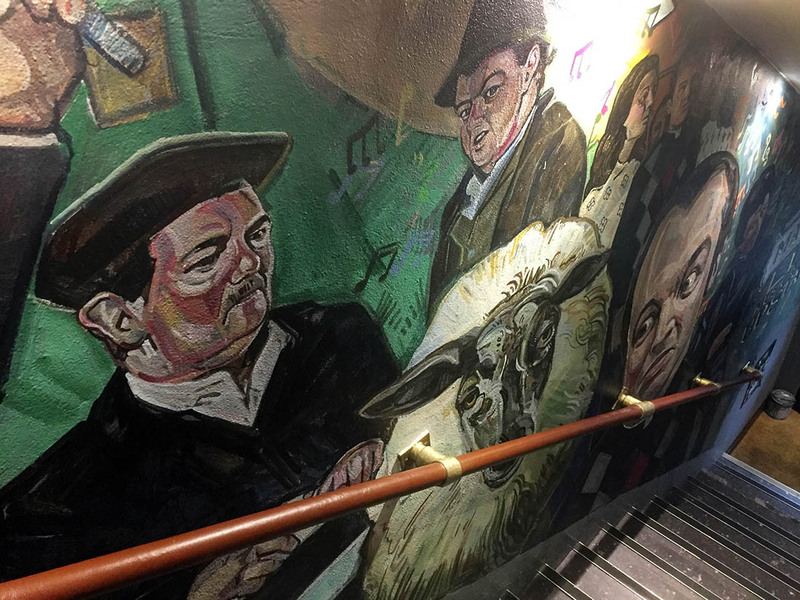 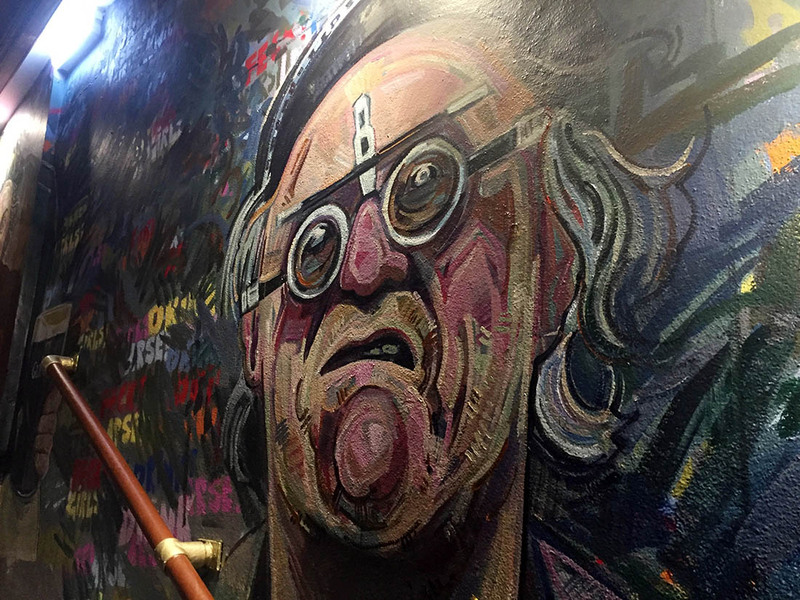 Following the success of the stairwell mural and the stage design I was also asked to provide further artwork for some other areas. 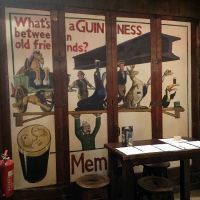 Downstairs the builders had uncovered some original bifold doors that had been sealed away for decades. 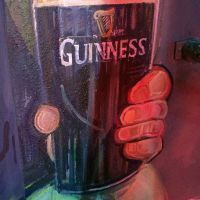 With Guinness's permission I recreated one of their classic advertising posters for the space. 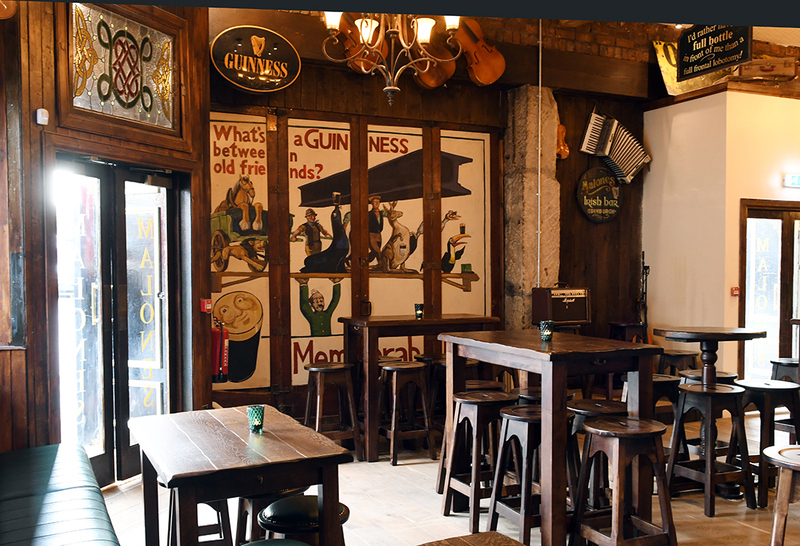 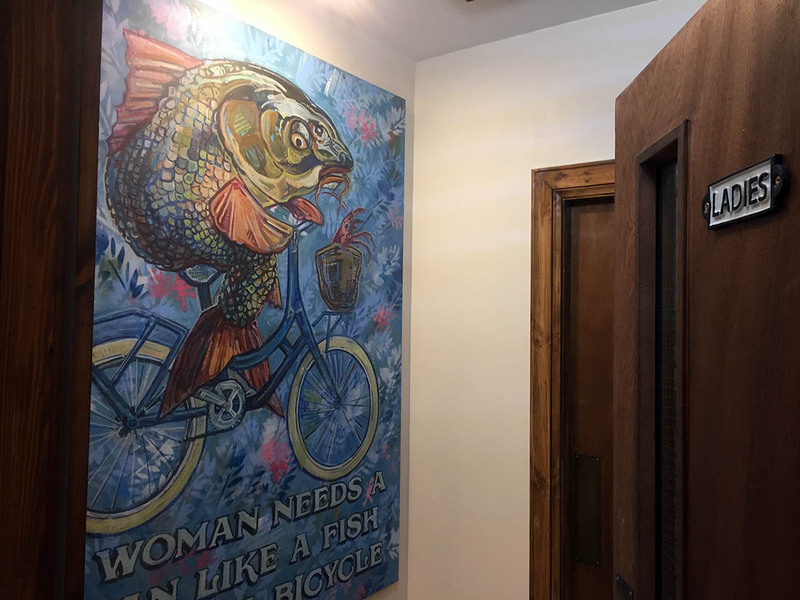 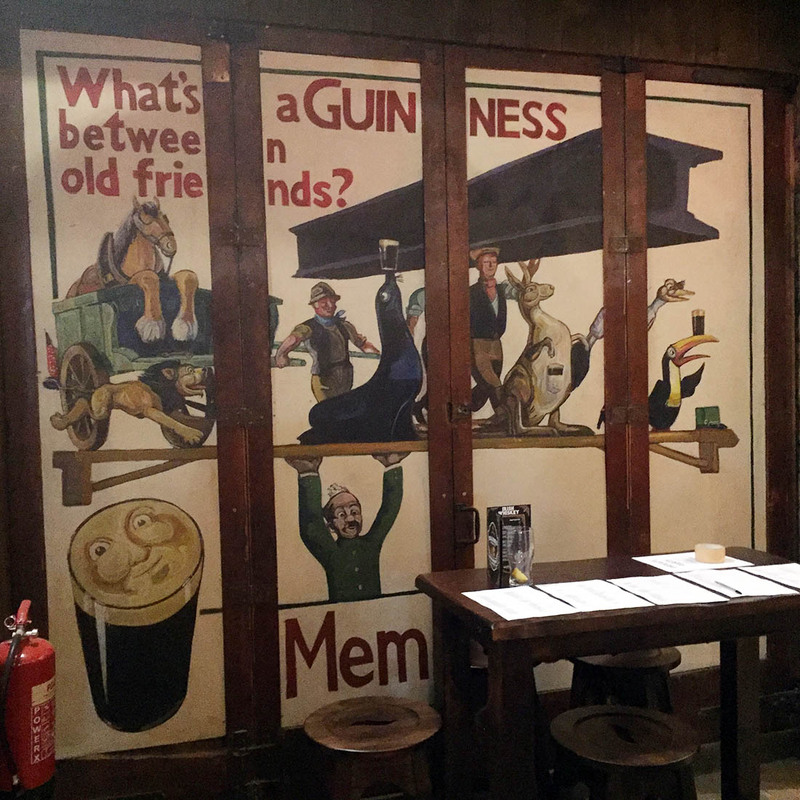 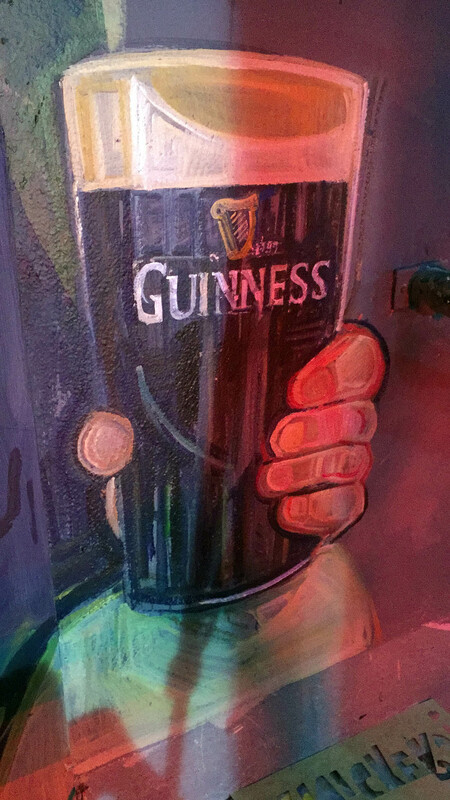 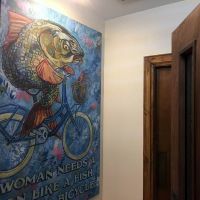 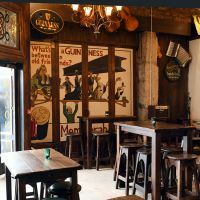 In addition to this I was asked to paint a feature picture for the ladies’ bathroom, illustrating the classic Guinness caption ‘A woman needs a man like a fish needs a bicycle’, and further branded items and signage. 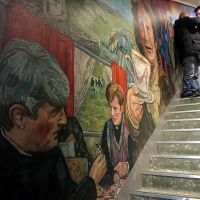 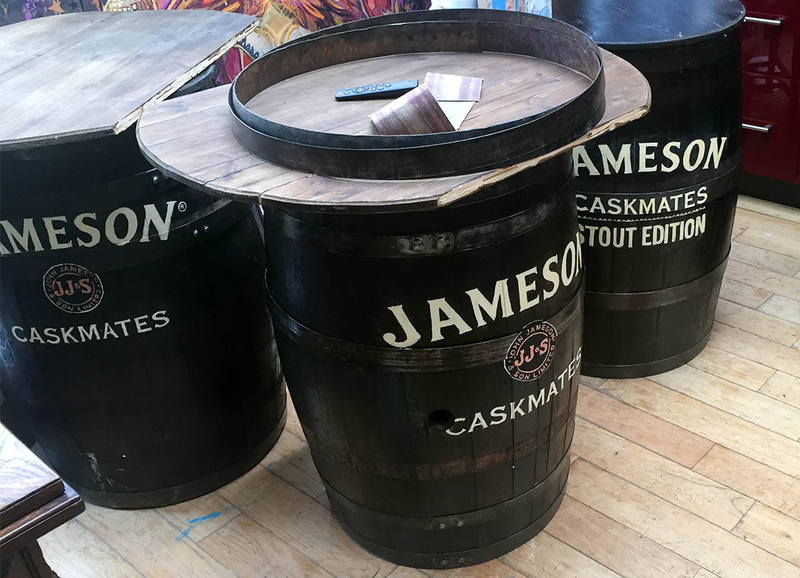 We garnered a lot of press for this project - apparently it has become the talk of Ireland and is now a must-see location for our Irish visitors!